With just a few short months until she is due to take to the seas, more and more details are being released about Royal Caribbean’s upcoming Harmony of the Seas – and it looks like the ship is due to be an absolute stonker. Not only will Harmony become the largest cruise ship in operation when she takes to the seas, but SHES will also boast a number of world first features – including eye-catching 3D technology used during live performances. 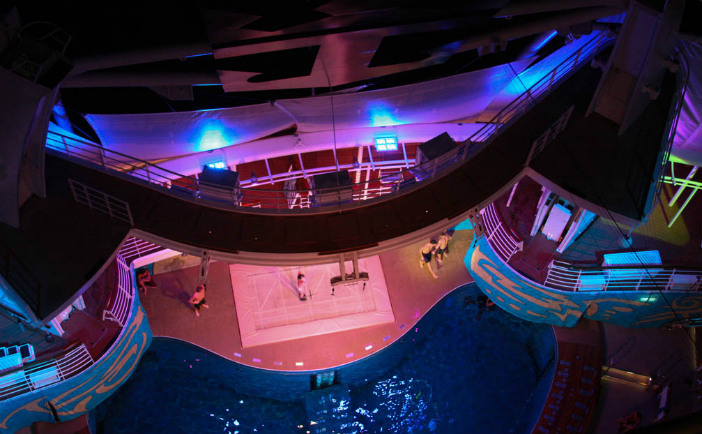 Using technology inspired by Royal Caribbean’s Quantum Class ships, the ship’s technical team will project 3D images onto the AquaTheatre performers – adding an extra dimension to the excitement and intrigue. Despite being a member of the Oasis Class, Harmony will feature all the Quantum Class technologies which made them the most advanced ships in operation. Addressing journalists at the shipyard in France where Harmony is currently being built, Nick Weir, vice president of entertainment at Royal Caribbean, enthused: “Our entertainment package is already great, but we wanted to take some of the technologies we pioneered on Quantum and Anthem and apply them to Harmony. Harmony of the Seas is set to debut on 20 May, make two small trips from Southampton before relocating to Barcelona which will be her home during her first season on the seas. Slightly wider and 33 centimetres longer than her sister ships, Oasis and Allure of the Seas, Harmony will benefit from an increased capacity and slightly larger cabins. As more and more details are released about this record breaking ship, the Cruise1st news team will continue to keep you up to date. 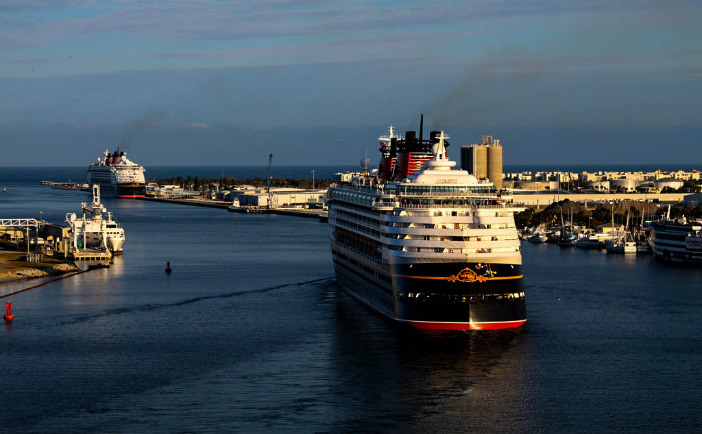 To stay abreast of the latest developments, keep on coming back to the Cruise1st news page here. Alternatively, you can call our friendly sales team on 0808 274 6777.